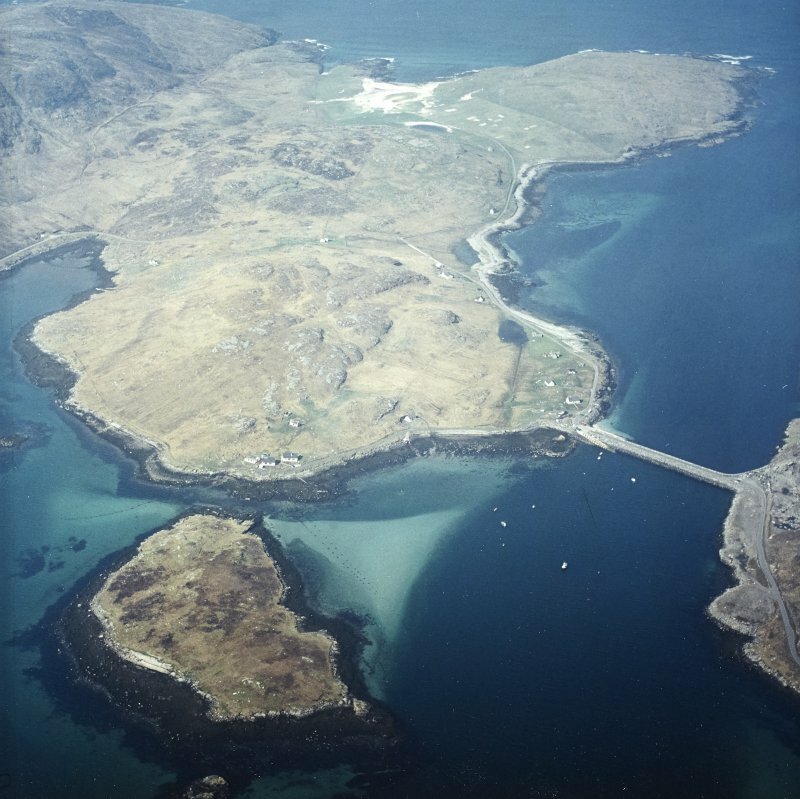 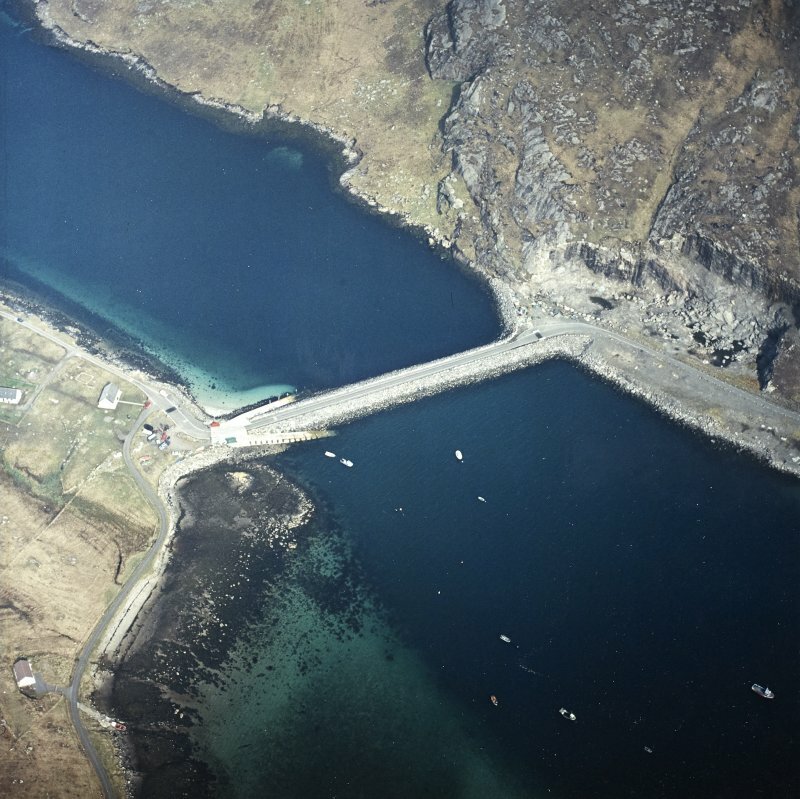 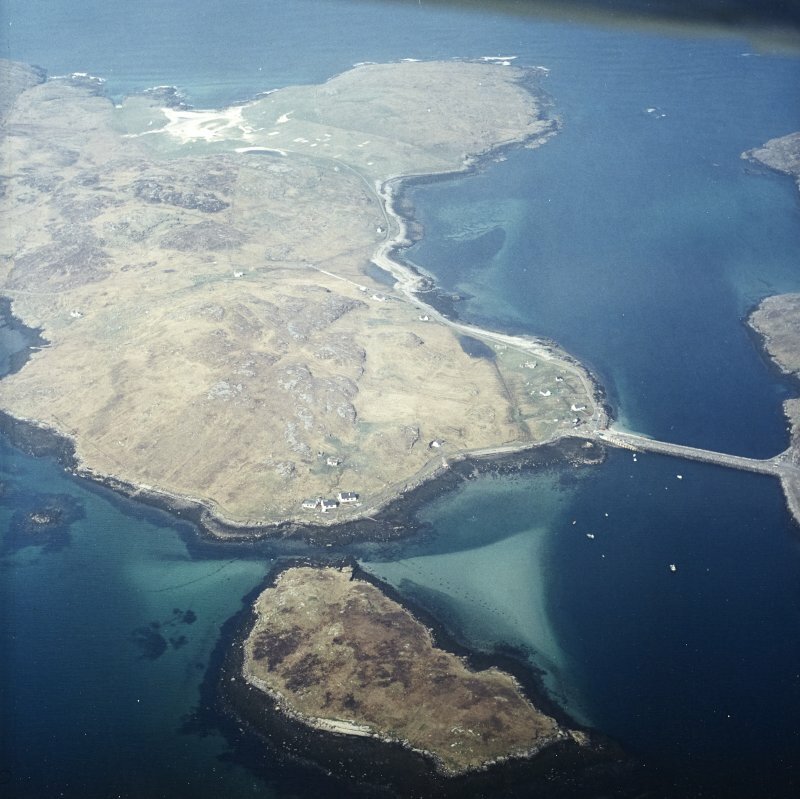 General oblique aerial view over the island of Vatersay with the causeway and fish traps in the foreground, taken from the E.
Oblique aerial view centred on the causeway and slipways with the quarry adjacent, taken from the S.
Oblique aerial view centred on the causeway and slipways with the quarry adjacent, taken from the SE. 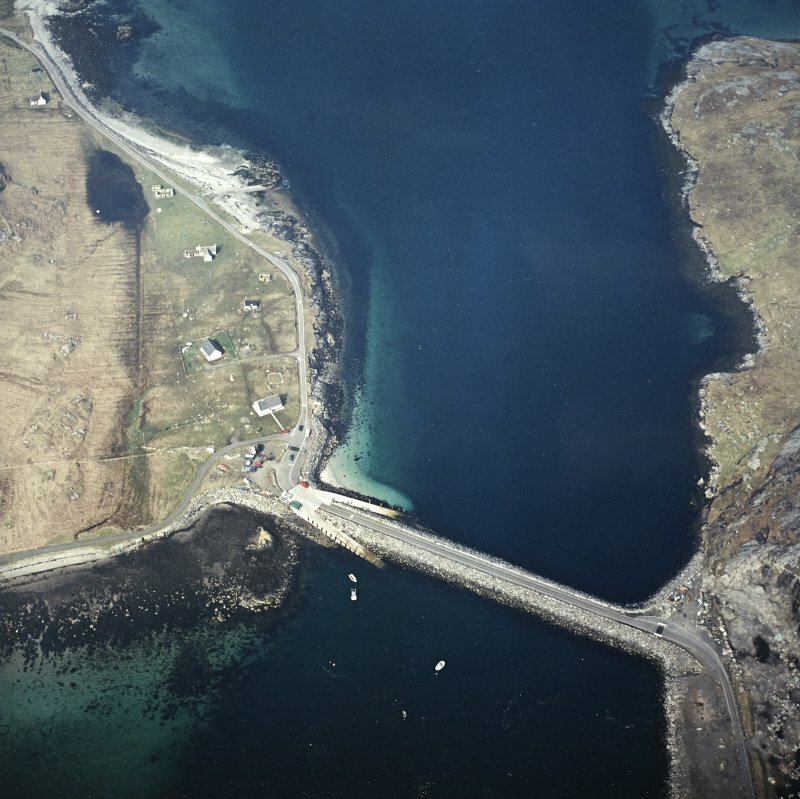 General oblique aerial view over the island of Vatersay with the causeway and fish traps in the foreground, taken from the ESE. 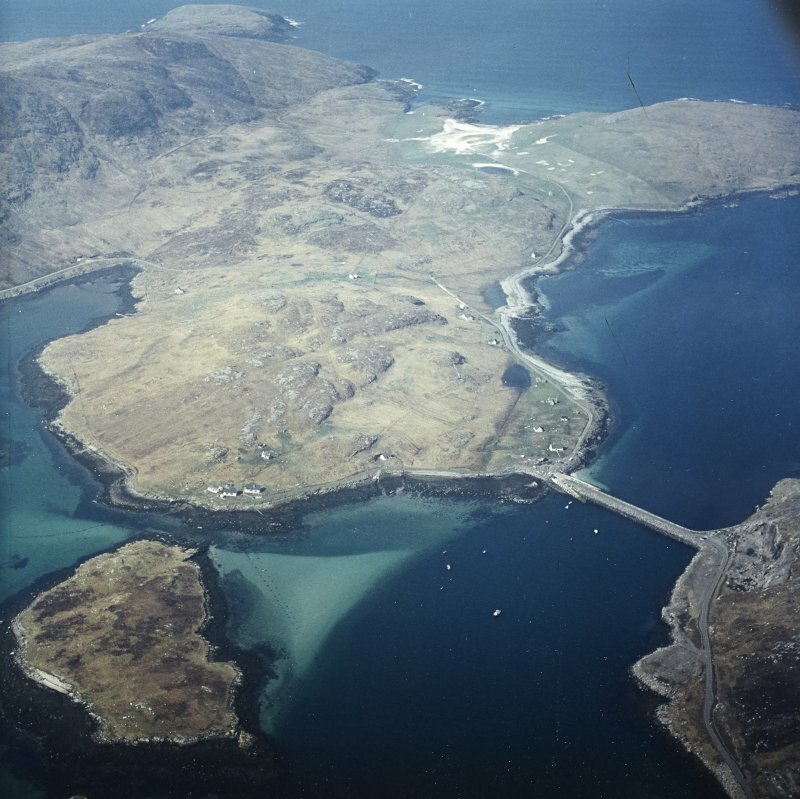 Oblique aerial view centred on the causeway and slipways with the crofting township adjacent, taken from the ESE. 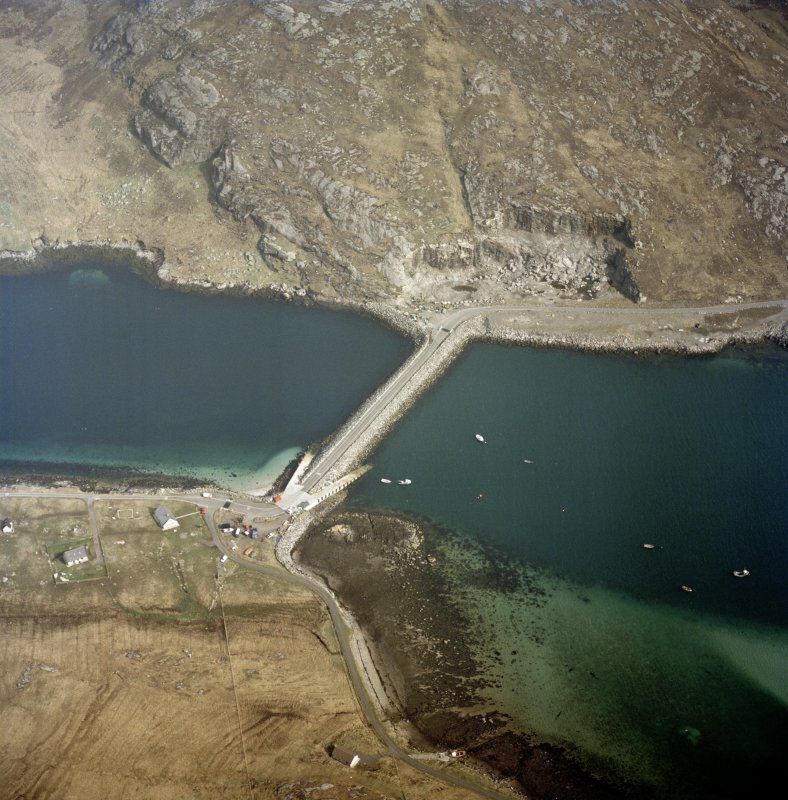 General oblique aerial view over the island of Vatersay with the causeway and fish traps in the foreground, taken from the ENE.